The U.S. Department of State (“Department”), Office of Children’s Issues (CI), U.S. Central Authority has issued its report on compliance with the Hague Convention on the Civil Aspects of International Child Abduction, covering the period from October 1, 2009, through December 31, 2010. 1. St.Kitts and Nevis was determined to be not compliant with the Convention. 3. 3. 15 countries were “Countries with Enforcement Concerns” in which left-behind parents in the United States have not been able to secure prompt enforcement of a final return or access order during the reporting period. This includes an order resulting from a Hague proceeding; a U.S. custody, access or visitation order; or an access or visitation order by authorities in the country concerned, where the lack of enforcement is because of the absence of prompt and effective enforcement mechanisms, the lack of recognition of comity, or other factors. These countries were Argentina, Australia, Austria, Costa Rica, France, Germany, Honduras, Hungary, Israel, Romania, South Africa, Spain, Switzerland and Turkey. 4. 4. 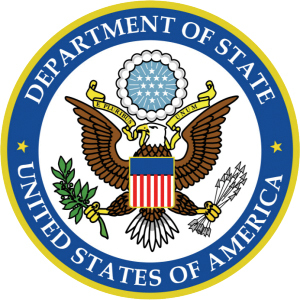 The State Department reported on the appointment of Ambassador Susan Jacobs as the first Special Advisor for Children’s Issues and her efforts to encourage Armenia, Bangladesh, China, India, Japan, Laos, Nepal, the Philippines, Singapore, South Korea, Russia, Saudi Arabia, South Korea, Timor-Leste and Zambia to become parties to the Convention, as well as discussions with Fiji and Thailand, whose accession the United States has yet to accept under Convention. 5. 5. The State Department reported on 18 countries where applications for return had remained open for more than 18 months after the date of filing. These are Argentina (three cases), Belgium, Brazil (6 cases), Canada (3 cases), Colombia (2 cases), Costa Rica, Ecuador, France (2 cases), Greece, Honduras (2 cases), Israel (2 cases), Mexico (82 cases), Netherlands, Peru (3 cases), Romania, Slovakia, Spain and Turkey (2 cases).